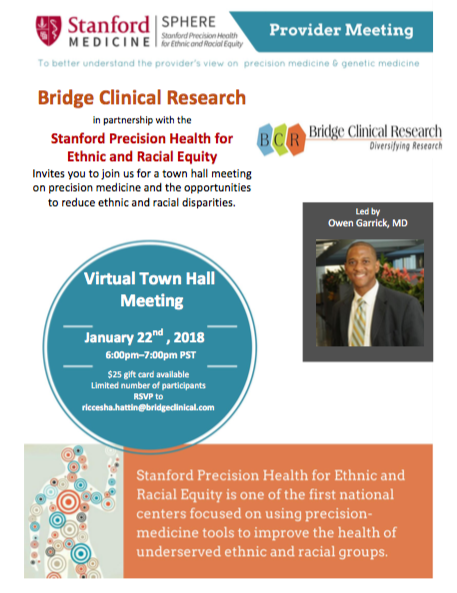 Bridge Clinical Research in partnership with Stanford Precision Health for Ethnic and Racial Equity invites you to join us for a town hall meeting on precision medicine and the opportunities to reduce ethnic and racial disparities. January 22, 2018 6pm -7pm. Click below to download the pdf flyer.